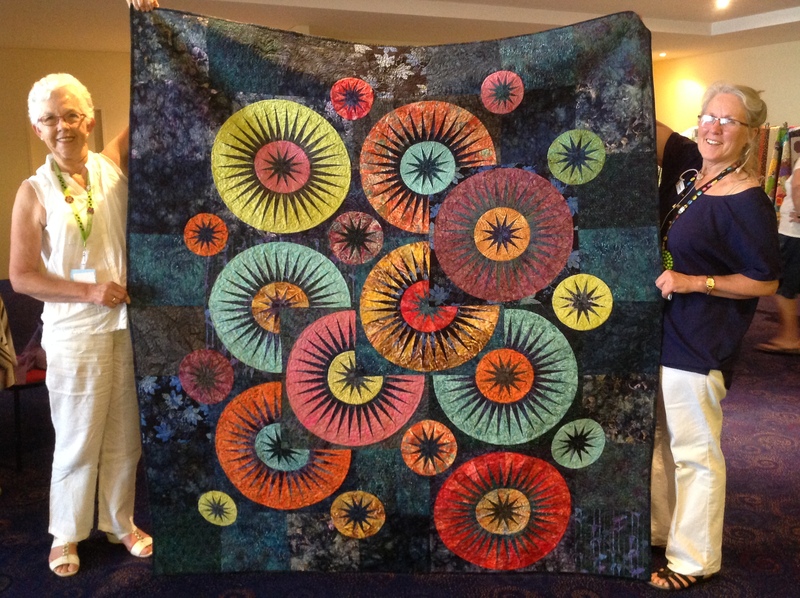 The QuiltWest raffle quilt was much admired at our sewing meetings this month. Raffle tickets are now available to buy, as well as the beautiful commemorative QuiltWest badges. 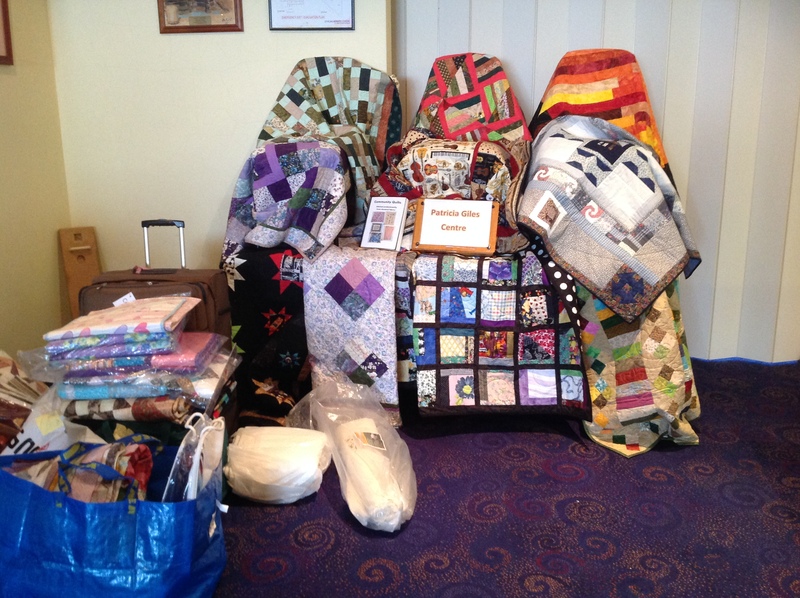 Quilts made by Creative Angels to be given to Patricia Giles Centre. Each month one of the association’s historic quilts is brought out from storage for members to see. This one was beautifully embroidered by a group of ladies. 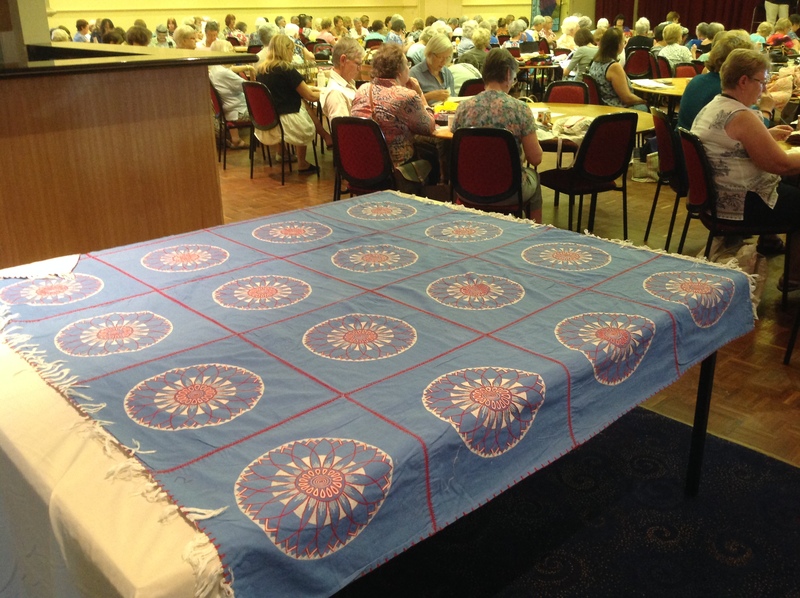 And finally a sneak preview of the quilt ex-president, Sheila Pye, has put together with all the blocks donated by members. 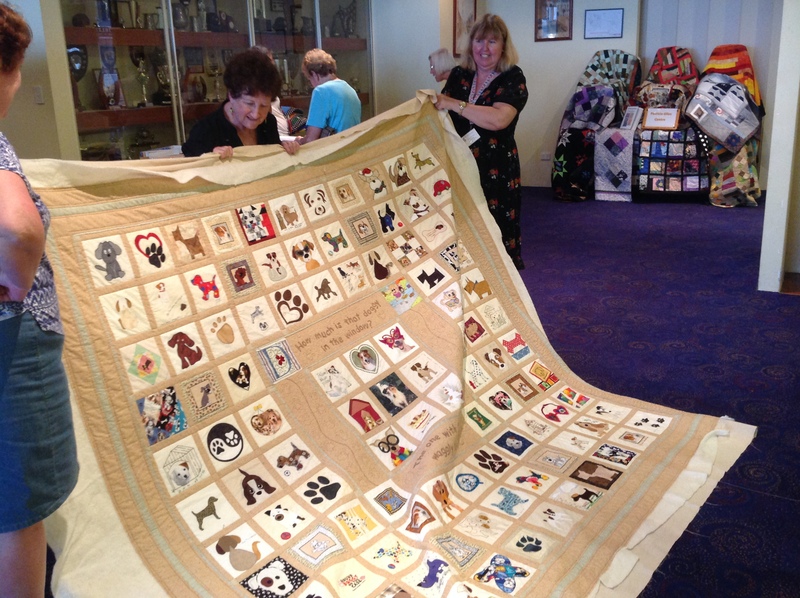 It will be on display at QuiltWest in May, giving everyone a chance to spot their block. Sewing day and night are getting busier than ever, with demonstrations by our ‘shop of the month’, pop up sessions and beginners lessons at sewing night. This entry was posted in beginners, Sewing Day & Nights and tagged meetings, QuiltWest, Sewing Day & Nights. Bookmark the permalink.